This “pottery barn” style vacation retreat is nestled in the quiet historic neighborhood of Jarvesville, once famous Sandwich Glass Factory. The quaint neighborhood borders boardwalk beach and is only a short walk into the village, where one will find cafes, restaurants and shops. A short walk in the opposite direction will bring you to Boardwalk beach where you can enjoy a quiet walk along the boardwalk; a day of sun on the sandy beach; or for the more adventurous go biking or rent a kayak and explore the extensive network of creeks and marshes. The home was recently renovated and is updated throughout. As you step into the home you will immediately feel the coziness it has to offer. From cooking a gourmet meal in the fully equipped kitchen with stainless steel appliances and granite counter tops, to relaxing on the back deck, cooking up a feast with a new, 4-burner gas grill, you will find this home to be the perfect place to enjoy your vacation on Cape Cod. Home Features: Kitchen – Granite counter tops, stainless steel appliances, gas cook top, breakfast bar, fully equipped. Master Bedroom: Luxury pillow top mattress (Queen), Cape Cod style white bed room set, office chair and table, lots of windows with seasonal views. Second Bedroom – Two twin bedroom sets with luxury pillow top mattresses. Third Bedroom: This also acts as a family room but comes equipped with a Queen pullout memory foam mattress along with sliding french doors. Entertainment Room– Hard wood floors, Large super comfy sectional, 46 inch flat panel TV w/ 100+ channels and DVD. Dining Room– Country style dining room table (seats 6) Breakfast bar (Seats 2). Fans in all bedrooms and A/C unit in Master Bedroom. Outdoor Living Space: Patio table w/ 4 chairs and new 4-burner gas grill. Bathroom #1: Updated, modern full bathroom with shower. Bathroom #2: Updated, modern full bathroom with shower and bathtub. Complete Washer/Dryer units downstairs off Kitchen. Large house, great neighborhood, close to everything! The house is much larger than appears on site. On a great private lot in quaint neighborhood. Beds are not comfortable all around, would invest in changing mattresses. The dryer was not working well throughout. Deck table was damged, not usable. The kitchen and bathrooms were great. Den are with tv awesome but shades on windows would be nice, also furniture a little old. Overall for a vacation home very comfortable for friends and family..just needs a little upkeep and update. Would stay again if some of these issues were addressed. Love sandwich glass district, cuttest neighborhood, nice neighbors. The interior photos on the listing don't do this property justice! The inside is way more expansive than the pictures indicate, with a large master bedroom, a wide open kitchen/dining room, and lovely great room with a skylight in the back of the house. The downstairs furniture is quite nice as well. The location is quite good, walking distance from both Boardwalk Beach and Main St. Communication with the property owner was good. The one thing that prevented this from being a five star stay was a shoddy job by the cleaning crew. There was hair on the pillowcase and when we went to change it we discovered almost all the linen and towels had been folded and put on the shelves wet. Considering we were paying a fee for linen service, we didn't appreciate having to finish drying them and putting them away before we could go to bed. The owner was apologetic but it definitely started the week on the wrong foot. Fortunately the rest of the stay was basically flawless. I'm been vacationing on the Cape as long as I can remember. This is the first time I've stayed in Sandwich. I highly recommend Sandwich as well as this lovely home. I brought my son, daughter-in-law and 3-yr-old granddaughter. We had plenty of room (the house is much larger than you may assume from the pics). The house is well-maintained, beautifully decorated, neat as a pin, has a well-stocked kitchen, easy access to washer/dryer off the kitchen, AC units in the bedrooms, gas grill on deck, large and private yard, quiet and well-kept neighborhood. We were easily able to walk to Town Neck Boardwalk/Beach from the house (with my granddaughter and beach supplies in a wagon). Could also easily walk to downtown, historic Sandwich. Overall, a fabulous week and we are looking forward to renting this home again. So glad you enjoyed your stay, Debra - come back soon! A Wonderful 12 Day Stay. 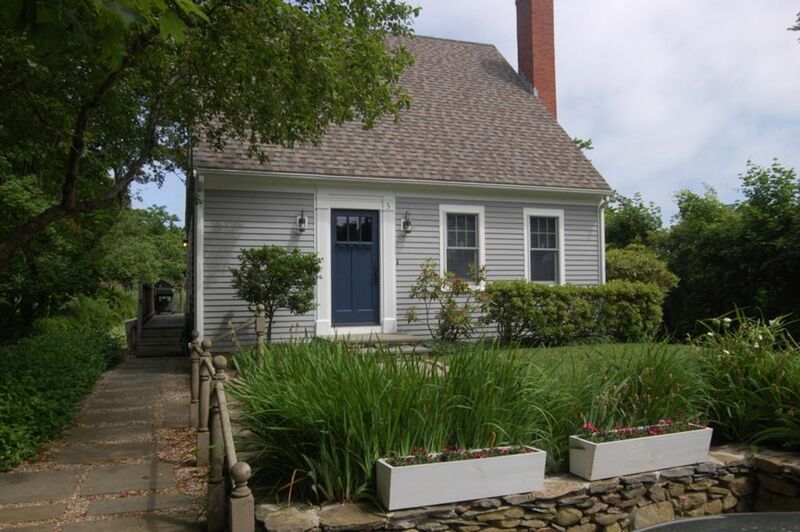 A beautiful property in a great location of Sandwich on Cape Cod. Quiet, peaceful and just a short walk to town where you'll find restaurants and shopping. The beach and tidal marshes provide lovely vistas with great water sports. The house is perfect for four to six people, although it was just my wife and I. Large rooms, a fully equipped kitchen, air conditioning, a comfortable family room and two ample bathrooms make this a desirable property.. Very bright and clean the house felt like home. A responsive owner insured a good time when questions arose. We'd stay here again in a heartbeat.. Thank you, Paul - so glad you both enjoyed your stay! I have been to many areas of Cape Cod but never to Sandwich. I have to say Sandwich is now one of my favorite spots on the Cape, and our stay in this house was wonderful! The weather forecast was muggy for our late August vacation, which worried me, but as soon as I walked in the house I realized I had nothing to worry about. There are three air conditioner units (two up, one down) and these kept the house very cool and comfortable. As other reviewers have noted, the house is larger than the photos indicate, particularly the kitchen/dining area and master bedroom. The house is beautifully decorated and well appointed. We particularly enjoyed cooking (either out on the grill or inside) and hanging out in the kitchen. We were three adults and two teenagers, and the third adult who slept on the pull out sofa in the living room was very comfortable. We LOVED the walk to Boardwalk Beach, and our trip to the Sandwich Glass Museum. We also visited many of the other shops/restaurants in Sandwich, all an easy and pleasant walk from the house. Because we came from out of state and traveled by plane, we also appreciated the linen service. The owner's communication was excellent. We will definitely consider a return trip to this house. We are willing to consider stays of less then 7 days.